Back when I first started my career in wedding planning, one of my mentors never failed to mention how important a centerpiece was to the overall look and feel of a wedding. According to her, a centerpiece could make or break you! 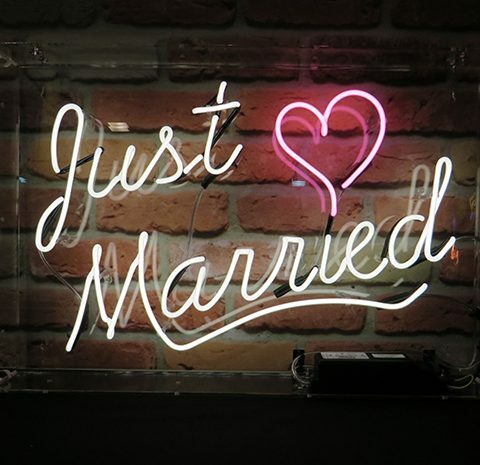 As I’ve developed a name for myself in the industry, I’ve only realized that my mentor was right: a centerpiece can truly make or break your wedding! 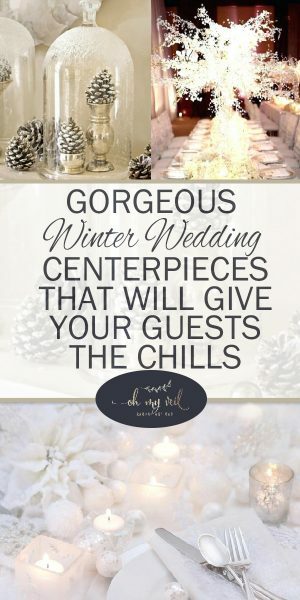 If you are planning a winter wedding this year, consider featuring one of these winter wedding centerpiece ideas. They’re seasonally appropriate AND they steal the show! 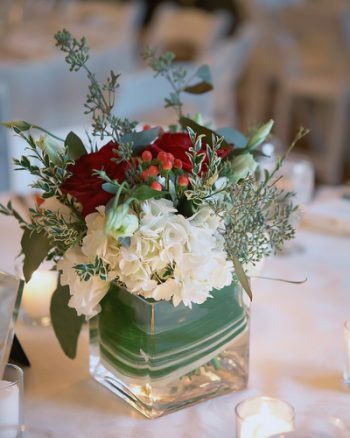 You can’t go wrong with one of these clever winter wedding centerpiece ideas. Keep things elegant and seasonally appropriate with classic winter colors like ruby red and forest green. You can fill your vases with whatever you would like, but I love how this bride layered her floral foam so it looks completely gorgeous. Don’t forget to add a few berries in wherever you can.